Shikhar Dhawan was declared Man-of-the-match for his unbeaten 62-run knock in Hyderabad's chase. 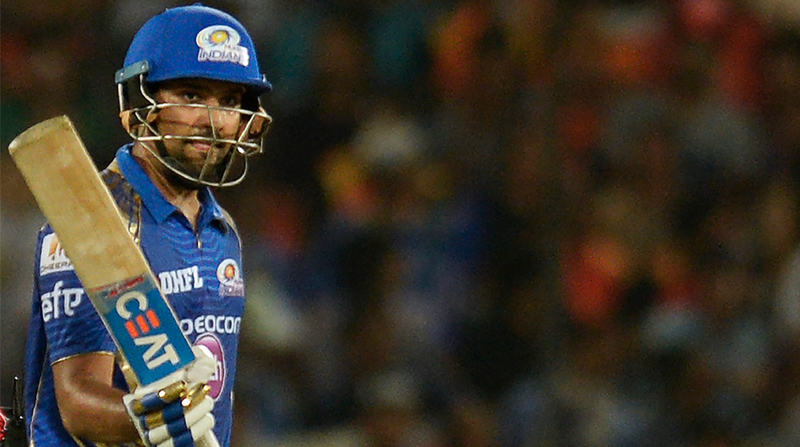 The defeat against Surisers Hyderabad did not hurt them since they have already qualified for the IPL Play-offs but for Mumbai Indians captain Rohit Sharma Monday’s defeat is an eye-opener. Mumbai Indians, who have been good chasers, opted to bat against the defending champions and managed only 138 for seven, eventually losing by seven wickets. "We just wanted to try something different by batting first today and it did not pay off. Batting second was much easier, but 138 is too less. If you don't take wickets, it's always going to be hard. It's an eye-opener for us on what to do when we bat first, what to do in the first six overs and little things like that," Rohit said after the match. "We could be put into bat, it won't always be in our favour, so we have a lot of learning from this loss." "We knew the wicket wasn't easy but we got nowhere near a good score. Sunrisers bowled well and kept us guessing," the captain added. A delighted Hyderabad skipper David Warner said "everything went to plan". "Credit to the bowlers, they did the job and gave us a small total to chase. I asked one of top four to go through the end of the game and they did that. I just thought up front with their left handers and with the long boundary and breeze, I bowled Nabi. It was a bit of a hit-or-miss, but it paid off tonight. We just treat every game as a knockout game." "It was an important game. The plan was that I have to stay at the crease as long as possible. Moises also played a good knock. I've been feeling good. I was working on consistency when I had a few quiet months. I worked at it and all the heart I've put into it has worked out now, so I'm happy," Dhawan, who was named in India's Champions Trophy squad, said.